LAHAINA — Baldwin High School coach Malakai Panuve knew it was a risk to send sophomore Jahnea Miguel up a weight class for the Maui Interscholastic League wrestling championships. 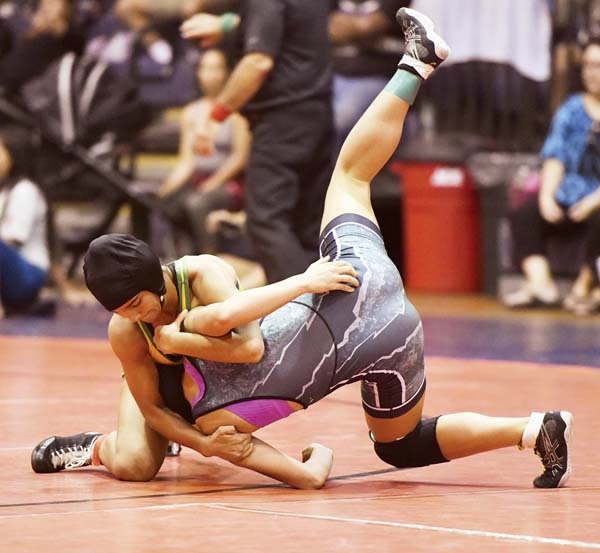 The 127-pound state champion last year went up to the 147 weight class on Saturday at the Lahaina Civic Center and won the title with a pin of Lahainaluna’s Tayler Pelegrino-Hayase in 3 minutes, 57 seconds. 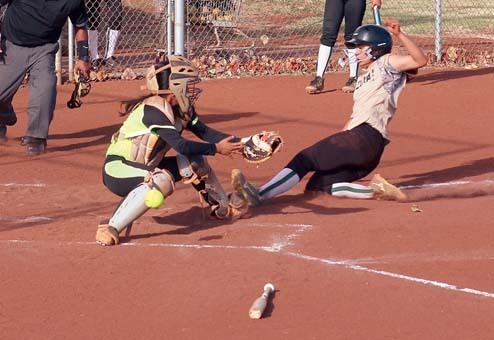 The result helped the Bears break the Lunas’ eight-year streak as MIL team champions. Baldwin piled up 198 points to beat the Lunas by 24. The Bears had six league champions, while the defending state champion Lunas had five. The Lunas boys won their 12th MIL team title in the last 13 years with 187 points, 18.5 more than runner-up Baldwin. Panuve was relieved his gamble with Miguel paid off. The Bears qualified 11 girls for the state tournament Feb. 14-15 at the Blaisdell Center in Honolulu, while the Lunas advanced seven. Ira Navarro has been to the top of the mountain in Hawaii high school wrestling — she won the 97-pound state title last year — and now she has a family tie to break. Her sister, Iverly Navarro, is now a freshman wrestling at Southwest Oregon Community College. Both sisters have three MIL titles, one state crown and four Garner Ivey Maui Invitational championships. Iverly Navarro lost her last prep match last year in the 107 final. Ira Navarro won her latest MIL crown with a dramatic 8-7 win over Baldwin’s Tianna Fernandez. 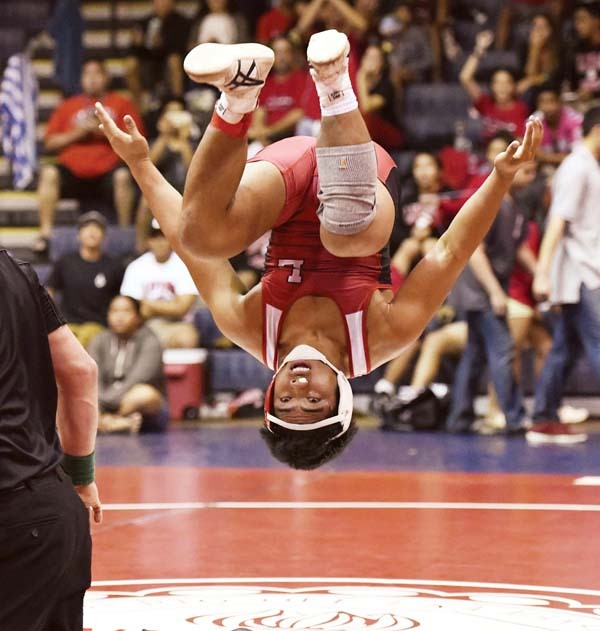 Lahainaluna senior Kainalu Estrella has been on a mission since losing in the boys 126-pound state championship match last year. Now, he is back where he wants to be — he won his fourth MIL title, pinning Noa Helm of Kamehameha Maui in 2:50. He has won league crowns at 113 pounds, 120, 126 and now 134. That is the last thing he wants to think about now, however. 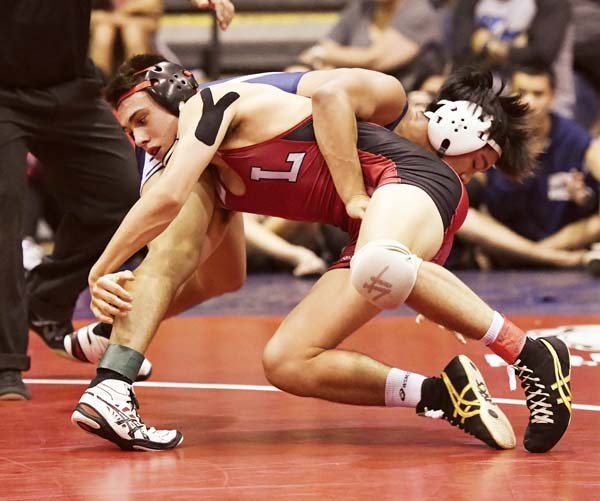 Lahainaluna’s Zeff Dudoit, a junior, won the 128-pound crown one match before Estrella. Dudoit entered his finals match as the No. 2 seed behind Baldwin’s Jules Marinas, but Dudoit won the title 8-5 — the pair split two matches this season. The LCC was packed, but many in the stands were wearing the black-and-red colors of the Lunas. In one of the closest matches of the night, Jesse Dudoit won the 147-pound crown 6-4 over Traesyn Shimoda of King Kekaulike. Jesse Dudoit, a sophomore, was up 4-0 in the match before Shimoda tied it at 4-4. A late takedown gave Dudoit the winning margin and he celebrated with a back flip on the mat. 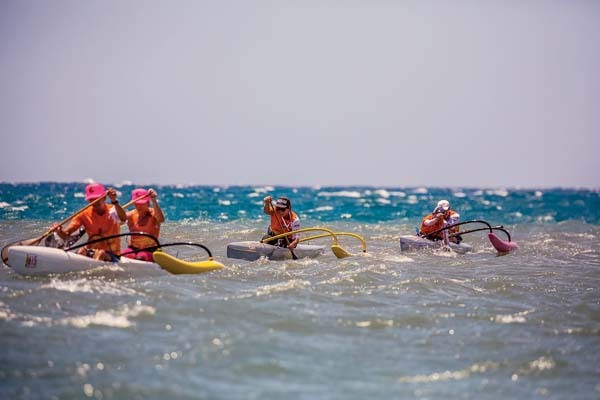 Molokai won two titles in a row when Caele Manley took the 154 crown and Diego Deponte immediately followed with his first league crown. The pair of practice partners did the same thing — winning back-to-back weight classes — at the Ivey tournament in December. Team–1. Lahainaluna 187 points, 2. Baldwin 168.5, 3. Maui High 101, 4. Molokai 80, 5. Kamehameha Maui 53, 6. Lanai 47, 7. King Kekaulike 44, 8. Hana 15. 108 pounds–1. Coby Ravida, Baldwin; 2. Cael Yasutake, Lahainaluna; 3. Jayse Lalim, Molokai. 115–1. Ikua Tihada, Lahainaluna; 2. 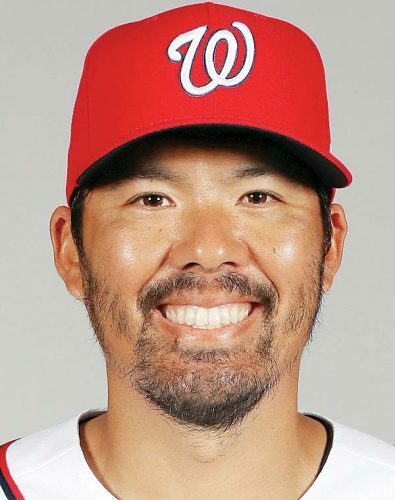 Kolby Inouye, Baldwin; 3. Bradyn Baldonado, King Kekaulike; 4. Ezekiel Matutino, Kamehameha Maui. 122–1. Kanoa Lanoza, Lahainaluna; 2. Kahilihiwa Joy, Baldwin; 3. Louie Dumayas, Lahainaluna; 4. Jude Talana, Maui High. 128–1. Zeff Dudoit, Lahainaluna; 2. Jules Marinas, Baldwin; 3. Kekoa Catiel, Lanai; 4. Trystan Ah Yat, Kamehameha Maui. 134–1. Kainalu Estrella, Lahainaluna; 2. Noa Helm, Kamehameha Maui; 3. Nainoa Flores, Baldwin; 4. Kaimi Cannella, Maui High. 140–1. 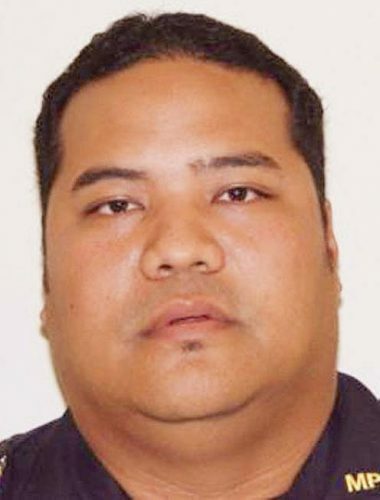 Kawehi Gillcoat, Lahainaluna; 2. Billy Treu, Baldwin; 3. Hauoli Caparida, Molokai; 4. Brody McCorriston, Maui High; 5. Kanoa Aruda-Starwood, Kamehameha Maui. 147–1. Jesse Dudoit, Lahainaluna; 2. Traesyn Shimoda, King Kekaulike; 3. Justin Campos-Rieta, Baldwin; 4. Chevy Augustiro, Molokai; 5. JP Thompson, Lanai. 154–1. Caele Manley, Molokai; 2. Samuel Dunwell, Lanai; 3. Byron Morreira, Baldwin; 4. Tekoa Torres-Umi, Molokai. 162–1. Diego Deponte, Molokai; 2. Elijah Oliveira-Kalalau, Lahainaluna; 3. Lucas Tamayose, Maui High; 4. Austin Murray, Baldwin. 172–1. Reeno Pascual, Lahainaluna; 2. Noah Honokaupu, Maui High; 3. Hauoli Sinenci, Hana; 4. Lennox Kahahane-Lived, Lahainaluna. 184–1. Ty Bates, Lahainaluna; 2. Enoka Philips, Lahainaluna; 3. Frank Galios, Baldwin; 4. Kyairese Diego-Pula, Maui High. 197–1. Jonathan Aunese, Maui High; 2. Nyles Pokipala-Waiohu, Lahainaluna; 3. Seth Lajiness, Baldwin. 222–1. Benjamin Tokanang, Baldwin; 2. Josaiah Megallon, Maui High; 3. Aden Molina, Maui High. 287–1. Chance Rodrigues, Maui High; 2. Kaeo Pedroza-Kanemitsu, Kamehameha Maui; Kukiai Kaopio, Molokai; 4. Russell Barcena, Lanai. Team–1. Baldwin 198, 2. Lahainaluna 174, 3. Molokai 152, 4 (tie). King Kekaulike, Kamehameha Maui, and Maui High 34, 7. Lanai 24, 8. Hana 14. 99–1. Alea Davis, Molokai; 2. Krissanna Anton, Baldwin. 104–1. Ira Navarro, Lahainaluna; 2. Tianna Fernandez, Baldwin. 109–1. Sami Saribay, Lahainaluna; 2. Madison Vierra, Baldwin; 3. Kylie Ferreira, King Kekaulike. 114–1. McKenzie Acob, Baldwin; 2. Michaelah Vasquez, Lahainaluna; 3. Tihani Kahoalii-Kalilikane,Molokai; 4. Nalani Kirkman, Lahainaluna. 119–1. Emma Debrum, Lanai; 2. Keeya Bicoy, Molokai; 3. Sara Kanakaole, Hana; 4. Laieikawai Tancayo, Lahainaluna. 124–1. Nanea Estrella, Lahainaluna; 2. Sierra Perryman, Maui High; 3. Robyn Valle, Kamehameha Maui; 4. Alana Morris, Molokai; 5. Shia Anne English, Molokai. 129–1. Waipuilani Estrella-Beauchamp, Baldwin; 2. Kamahina Kanuha-Kaiama, Molokai; 3. Ashlee Palimoo, Kamehameha Maui; 4. Josephine Fraser, Lahainaluna. 134–1. Kauanoe Keahi, Lahainaluna; 2. Alysha Reinhardt, Baldwin; 3. Kelsey Bicoy, Molokai; 4. Chaenel Deluna, Molokai. 140–1. Daisha Kahoalii-Kalilikane, Molokai; 2. Tyeisha Takamori, Baldwin; 3. Claudia Keanini, Molokai; 4. Daelissa Westbrooks, Lahainaluna; 5. Chris Ann Alejo, Maui High. 147–1. Jahnea Miguel, Baldwin; 2. Tayler Pelegrino-Hayase, Lahainaluna; 3. Jaden Rivera, King Kekaulike; 4. Taye Mowat, Molokai; 5. Maile Kaahanui, Molokai. 157–1. Fayannie Rosario, Lahainaluna; 2. Sunni Chow, Molokai; 3. Angel Vegoda, King Kekaulike; 4. Puili Villanueva, Kamehameha Maui. 170–1. Shayna Kamaka, Baldwin; 2. Jaydin Huesing-Ammasi, Baldwin; 3. Shannon Jaramillo, Lahainaluna; Valerie Psalms Rosa-Perez, Maui High. 186–1. Siera Vida, Baldwin; 2. Martika English, Molokai; 3. Saje Pedroza-Kanemitsu, Kamehameha Maui; 4. Xenia Owen, King Kekaulike. 227–1. Celine Gomes, Baldwin; 2. Luhiehua Pedro, Molokai.